Gold development company Stonewall Resources (ASX:SWJ) has provided an update on its exploration activities at its TGME Project in South Africa. This comes as work continues towards re‐starting commercial production at Pilgrim’s Rest with three drilling rigs currently working at Theta Hill and nearby areas. The company has brought back an RC rig to progress with the Resource drilling on the DG4 area of Theta Hill. 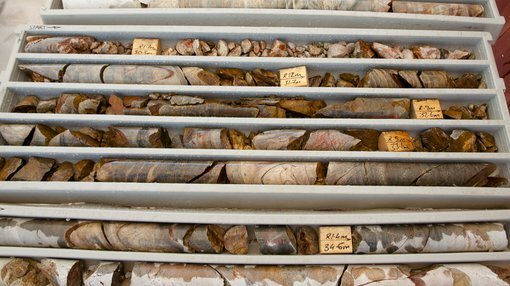 Following a recent Resource upgrade, work continues towards delineating Resources at both DG4 and Theta North areas, where widespread gold mineralisation has been established. The aim is to delineate reserves at this location, adjacent to the gold processing plant, which can be easily brought into production. In order to rapidly progress the development of a Resource on this are, the RC rig has been recently modified to improve on the previous drilling performance. This improved system builds on lessons that have been learned from the last round of RC drilling. At Rietfontein, work continues to dewater the mine to enable access for underground drilling for Resource estimation purposes. SWJ is progressing towards Indicated Resources and ultimately Reserves under JORC, 2012. Earlier in the year a decision was taken to dewater the mine below four level via gravity decant and to access the mine via this footwall drive where better conditions were expected. The aim is to create access into deeper parts of the mine for metallurgical sampling, and determine potential locations for underground resource drilling. The water level is now 1‐1.5 metres below the hanging wall of 4 level adit and SWJ will monitor the progress twice a week with a view to continued dewatering ahead of planned access refurbishment to enable access for drill rigs. The company also announced that it is sponsoring the South African Gold Panning Championships, to be held on 2‐6 October, 2018 at Pilgrim’s Rest within the TGME project area. This event attracts hundreds of competitors and spectators providing a welcome boost to tourism in the area. Pilgrim’s Rest is considered to be the location of the first official gold rush in South Africa in 1873. At one point over 1,500 panners descended on Pilgrim’s Rest before the hard‐rock reefs were discovered, leading to underground exploitation.